Irondale Fastpitch Association will not be fielding Little Knights this summer season (2017). We are hoping there will be more interest next year so we can continue to offer this exciting opportunity for young players. IGFA board meetings are open and usually held on the 3rd Wednesday of each month. If you are interested in learning more about what we are planning for 2016 and want to get involved in helping grow our association, we'd love to have you join us. We appreciate participation/representation at every level, but are particularly interested in involving families of some of our youngest players. All board members are available at any time to answer your questions or concerns. Please drop us a note at Irondalefastpitch@gmail.com. Shop the Identity Store for all your Knights Fastpitch apparel! 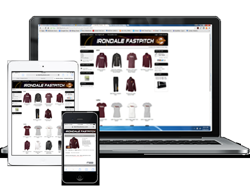 The Irondale Knights Fastpitch Identity Store features a variety of new items for men, women and youth. ©2019 Irondale Fastpitch Association / SportsEngine. All Rights Reserved.